 The City of Auburndale is an equal opportunity employer and a drug-free workplace. Full-time employees enjoy 100% health insurance coverage, 100% dental insurance coverage, group vision insurance plan, life insurance, paid holidays, sick/annual leave, general employee pension, longevity pay, police & fire pensions, tuition reimbursement, and direct deposit. The City of Auburndale collects your Social Security Number for the following purposes: employment applications, benefits processing, income tax reporting, employee injury/accident reports, insurance claims, creditworthiness, identification & verification, and data collection. Social Security Numbers may be shared with other authorized Agencies. Social Security Numbers are also used as a unique numeric identifier and may be used for search purposes. For more information please call the City Manager’s Office at (863) 965-5530.